New Delhi: Pakistani Prime Minister Nawaz Sharif will meet with top military officers tomorrow to discuss this week's ceasefire violations with India at the Kashmir border, the worst violence in over a decade. 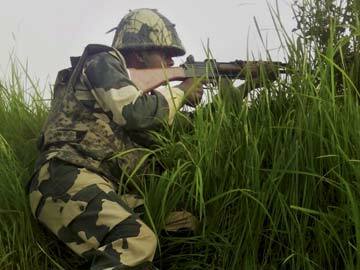 Seventeen civilians have been reported killed - eight in India and nine in Pakistan and dozens more have been injured. Pakistan's Defence Minister Khawaja Asif said today, "We don't want to convert border tension between two nuclear neighbors into confrontation" but stressed that "Pakistan is fully capable to respond to any Indian aggression" according to a statement released by his office. His remarks came after Defence Minister Arun Jaitley warned this morning, "If Pakistan persists with this adventurism then our forces will continue to fight. The cost of this adventurism will be unaffordable." Mr Sharif has called a meeting of the National Security Committee which includes the chiefs of the armed forces and the Foreign, Defence and Home Ministers. India and Pakistan have been trading heavy mortar and gun fire along the international border and the Line of Control since October 1. Mr Sharif has been criticised by the Opposition in his country, including cricketer-turned-politician Imran Khan for failing to respond appropriately to India's "aggression."